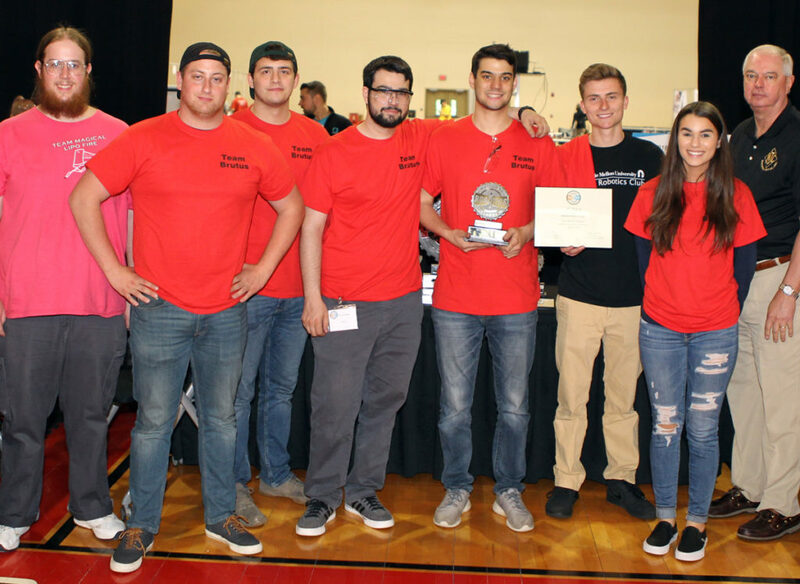 The National Robotics League (NRL) is a manufacturing workforce development program of the National Tooling & Machining Association (NTMA) where students design and build remote controlled robots (Bots) to face-off in a gladiator-style competition. Through the manufacturing process of Bot building, students’ imaginations are captured as they design, build and compete with their own robotic creations. Through this hands-on effort along with industry partnerships, students gain practical knowledge of Science, Technology, Engineering, and Math (STEM) – all essential skills for manufacturing. By formalizing ties between schools or youth organizations and manufacturing partners, students gain a better understanding and become enthusiastic about the career possibilities in manufacturing. Also, manufacturers are able to build valuable industry-school connections and workforce talent pipelines by helping competitors engineer a lean, mean, fighting machine. In other words, everybody wins. Why is the NRL unique? Designing, building and testing a combat Bot is a fascinating real-world professional manufacturing experience. Students learn the technical and critical thinking skills needed for the manufacturing jobs of today and tomorrow. Participating schools create relationships with local manufacturing companies to serve as their industry advisor. The NRL is the smart sport where all participants have the potential for a career in manufacturing. There is a skills and interest gap in manufacturing. Companies cannot find qualified workers to fill their open positions. This problem is compounded by a rapidly aging workforce. 40% of the manufacturing workforce will be at retirement age by 2020, 77% by the year 2030. 2 million positions in manufacturing will be open within the next 10 years. 90% of parents recognize that a strong manufacturing base is critical to the US economy, but only 30% of parents would support their children in pursuing a career in manufacturing. The NRL attracts smart, capable students who love to build things and solve problems. Exactly the type of people who we hope will make up the next generation of manufacturing leaders. We must now “STEM” the tide of the growing skills gap and reinforce hands-on learning that excites students to learn more. The NRL is one of the only programs driving students to manufacturing careers. The NRL provides a national structure for educational robotics competitions for the purpose of increasing traffic to manufacturing-related career opportunities and to provide NTMA chapters with a program that invigorate and grow the organization. Qualifying regional robotic programs join the NRL, which offers a fair, safe and cost effective environment from which to build, design and compete. Student teams compete regionally to be able to test their robotic creations and battle for local supremacy. The NRL National Competition is held in May. Teams not only earn points for their arena battles, they are evaluated by industry experts on their engineering binder. The team’s documentation binder and presentation points weigh heavily in the crowning of the National Competition’s Grand Champion. The competitions are something that the students can get excited about, but in actuality, they are developing technical skills in mechanical and electrical engineering, machining and welding along with 21st century skills in critical thinking, project management, communication and teamwork.